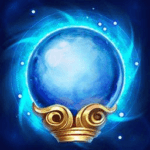 Orb of the Magi offers a lot to any mage who takes it. With large amounts of ability power, HP, and mana, it is a great starter item. The on-level health and mana refresh it offers allows Natalya to stay in lane while harassing her opponent during the early phases of the game. Hecate’s Diadem As a damaging mage, Natalya needs large amounts of ability power. Hecate’s Diadem is the best way to achieve this, it having the largest potential for ability power in the game. Not only does it boast a high base ability power bonus, it ups the amount that all other items provide to Natalya. Holy of Holies Offering tremendous amounts of ability power, Holy of Holies is a great way to finish off any build for Natalya. In addition, she lacks any sort of mobility, so the additional survivability is a great alternative in order to stay up in battle. Frosty’s Revenge Frosty’s Revenge is a great way for Natalya to trap enemies in her abilities. As each one is a skill shot, agile foes have the ability to either escape from or completely dodge Mina’s abilities. The slow provided by Frosty’s Revenge will help prevent this, making enemies hit by one of her abilities much easier to hit with others. It additionally offers some additional movement speed, helping with her overall mobility problem. Rhea’s Blessing Offering a bit of additional regeneration, Rhea’s Blessing is a nice item that offers both offensive and defensive properties. The shield it provides will give Natalya a bit of additional time to burst down her opponent in fights, and the magic life steal will give her a way to heal up afterwards. Boomstick Boomstick can be an optional offensive item if you want to deal damage against a group of clumped up enemies. This item can also provide good wave clear making your farms faster. Staff of Nuul Staff of Nuul is to help out when the enemy team has stacked large amounts of magic defense. Offering percentage based magic pierce, the more magic defense the opponent has, the more effective this item is. Medallion of Troy Medallion of Troy is generally the go-to item when wanting to stave off an out-of-control mage. It offers considerable amounts of magic defense and health along with a damage-absorbing shield. The cooldown reduction keeps it from being solely defensive, especially for a pure caster like Natalya. The Aegis As Medallion of Troy staves off mages, The Aegis is a great way to defend against marksmen. It offers a large amount of mana and cooldown reduction as well, assisting quite a bit with Natalya’s spell onslaught. Berith’s Agony Berith’s Agony is a combination choice when looking for some armor. Its passive effect mixes well with Natalya’s multi-hit spells, as an added bonus. Enchanted Kicks Help tear through enemy defenses, negating some of the magic defense her target has. They are a standard choice when looking to make a fully aggressive build. Gilded Greaves Gilded Greaves is the usual build for Natalya as it offers her some Magic Defense as well as the capacity to escape CC quicker thanks to the items unique passive. Arctic Orb Natalya doesn’t have any mobility abilities and her only form of escape is the stun on her Arcane Nova. Getting Arctic Orb will give her the perfect opportunity to avoid burst damage when an enemy ganks her. This build is focused around making Natalya into a pure nuker. She will lack much when it comes to utility, but will more than make it up in pure damage. Boomstick, Holy of Holies, and Hecate’s Diadem all offer substantial amounts of ability power, while Enchanted Kicks, Hecate’s Diadem, and Staff of Null all allow her to cut through enemy defenses to blast away at their squishy center. A more defensive approach to Natalya, making up for her low mobility with large amounts of defense. 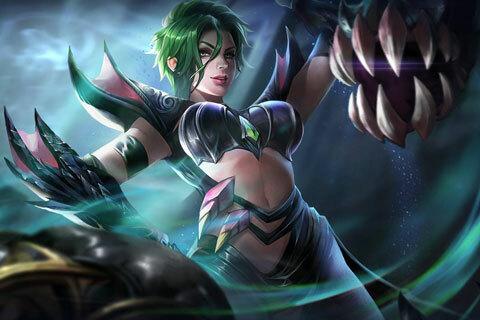 Her natural damage is high enough that she can still contribute to fights while building defensive, even if she won’t be the same hypercarry here. The Aegis is her main source of defense, a number of her ability power enhancing items supporting her survival as well. Holy of Holies, Rhea’s Blessing, and Orb of the Magi all toughen her skin and make Natalya a much harder target to take down. Here we try to mitigate some of the difficulty that Natalya can have hitting opponents by giving her large amounts of crowd control. Both Frosty’s Revenge and Frost Cape work together to greatly slow down opponents and thereby make them simple targets. While not offering to her offensive potential, Frost Cape provides Natalya with a targeted slow, ensuring that she slows her enemies even if she misses her first spell. We build up her damage aside from these two utility items, making up for the bit she lost in taking Frost Cape. I use Frosty’s as her 1st item instead of orb. The sustain mana-wise is a bit lacking, but I have enough utility and damage to make up for it. Play safe during the early part and the build will make it up in the mi-end game.